Wondering if anyone have a manual or couple of pics showing how to adjust the bmw hp rearsets please? Got my bike with everything fitted already so dont have any instruction in there at all.. I found that the manual was a bit cumbersome and over complicated, so I just used a bit of grey matter and figured it out trial & error. 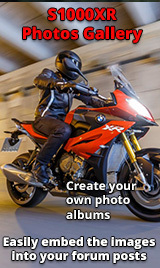 But here's a link to the Motorrad accessory website. Thanks very much mate! Couldn't be more helpful..